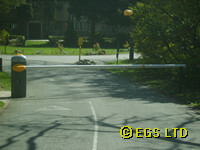 Traffic barriers, a cost-effective way of controlling access by vehicles to a carpark or other property. 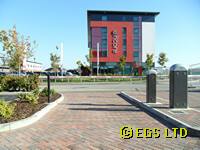 For small to medium traffic control barriers we recommend the came Gard series of car park barriers. These barriers have a smooth modern aesthetic, design to be installed to the latest European safety standards for use in public places with little additional equipment and offer excellent reliability at high utilisation rates. 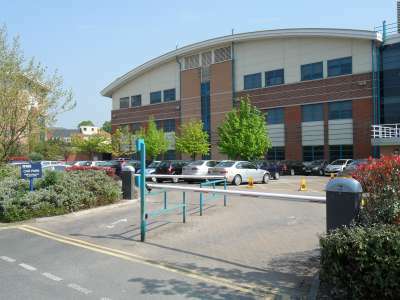 The updated Gard range has units capable of providing access control for entryways between three and eight metres with a single barrier unit, up to double this using a pair of barriers. As standard the barrier arms are white with a red high reflectivity warning chevrons along its length. They can additionally be fitted with a yellow LED illumination strip running the length of either side the barrier arm providing excellent night-time visibility of the barrier arm. The dome of the barrier units can be fitted with a optional yellow warning light that strobes for a few seconds before the barrier raises or lowers to give additional warning to people who may near the barrier unit. All our traffic control barrier installations are properly risk assessed, force tested to EN12445, issued with a technical documentation pack and the CE marked. Ongoing maintenance and repair is available.